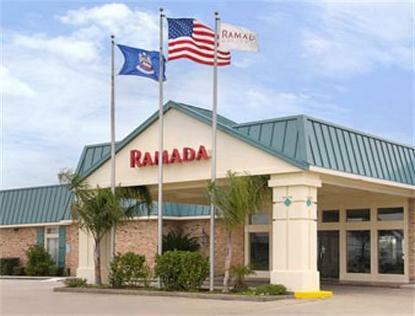 * The Ramada Houma, Louisiana is Conviently Located on Tunnel Blvd just off Hollywood Road. The Ramada Houma is Located only 3 Miles from Downtown Houma. This Hotel Serves the Southern Louisiana Towns of Houma, Thibodaux, Morgan City, Lockport, Raceland, Chauvin, Grey, Schriever, Terrebonne, and Lafourche Parishes Louisiana. * The Ramada Houma is Conviently Located Near Swamp Tours, Plantation Homes, Antiques Shops, Houma Historic District, and all the Southern Louisiana Wildlife. The Ramada Houma is only 3 Miles From Downtown Houma and a Short Drive From Three Major Medical Centers. The Hotel is Within Walking Distance to Numerous Restaurants, and a Short Drive to Outback Steakhouse, Golden Corral, and Chili's of Houma. The Southland Mall and Waterland Amusement Park are only 3 Miles. * The Ramada Houma Offers Free High Speed Internet Access, Free Local Calls, Large Outdoor Olympic Pool with Jacuzzi, Microwaves and Refrigerators in Every Room, Spahrs Restaurant and Lounge on Property and Cable TV with HBO. * Pets allowed with a charge.